Sometimes the after effects of oral surgery are quite minimal, so not all of the instructions may apply. Common sense will often dictate what you should do. However, when in doubt follow these guidelines or call our office for clarification. FIRST HOUR: Bite down gently but firmly on the gauze that have been placed over the surgical areas, making sure they remain in place. The packs may be gently removed after one hour. If active bleeding persists, place enough new gauze to obtain pressure over the surgical site for another 30 minutes. 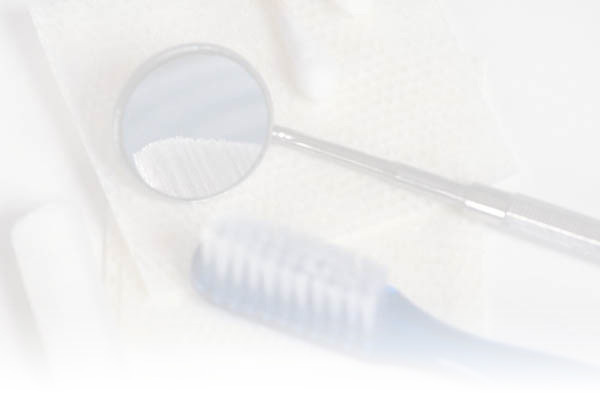 The gauze may then changed as necessary (typically every 30 to 45 minutes). OOZING: Intermittent bleeding or oozing overnight is normal. Bleeding may be controlled by placing fresh gauze over the areas and biting in the gauze for 30-45 minutes at a time. PERSISTENT BLEEDING: Bleeding should never be severe. If so, usually means that the packs are being clenched between teeth only and are not exerting pressure on the surgical areas. Try repositioning the packs. If bleeding persists or becomes heavy you may substitute a tea bag (soaked in very hot water, squeezed damp-dry and wrapped in a moist gauze) for 20 or 30 minutes. If bleeding remains UNCONTROLLED, please call our office. SWELLING: Swelling is often associated with oral surgery. It can be minimized by using a cold pack, ice bag or bag of frozen peas wrapped in a towel and applied firmly to the cheek adjacent to the surgical area. This should be applied 20 minutes on and 20 minutes off during the first 24 hours after surgery. If you have been prescribed medicine for the control of swelling, be sure to take as directed. PAIN: Unfortunately most oral surgery is accompanied by some degree of discomfort. You will usually have a prescription for pain medication. If you take the first pill before the anesthetic has worn off, you should be able to manage any discomfort better. Some patients find that a stronger pain medicine causes nausea, but if you precede each pain pill with a small amount of food, chances for nausea will be reduced. The effects of pain medications vary widely among individuals. If you do not acheive adequate relief at first, you may supplement each pain pill with an analgesic such as aspirin or ibuprofen. Some patients may even require two (2) of the pain pills at one time. Remember that the most severe pain is usually within six (6) hours after the local anesthetic wears off; after that your need for medicine should lessen. If you find you are taking large amounts of pain medicine at frequent intervals, please call our office. If you anticipate needing more prescription medication for the weekend you must call for a refill during weekday business hours. NAUSEA: Nausea is not uncommon after surgery. Sometimes pain medication are the cause. Nausea can be reduced by preceding each pain pill with a small amount of soft food, and taking the pill with a large volume of water. Try to keep taking clear fluids and minimize dosing of pain medications, but call us if you do not feel better. CLASSIC COCA COLA may help with nausea. DIET: Eat any nourishing food that can be taken with comfort. Avoid extremely hot foods. DO NOT USE A STRAW FOR THE FIRST FEW DAYS AFTER SURGERY. It is sometimes advisable, but not absolutely required, to confine the first day's intake to liquids or pureed foods (soups, pudding, yogurt, milk shakes, etc.) It is best to avoid foods like nuts, sunflower seeds, popcorn, etc., which may get lodged in the socket areas. Over the next several days you may gradually progress to solid foods. It is important not to skip meals! If you take nourishment regularly you will feel better, gain strength, have less discomfort and heal faster. IF you are a diabetic, maintain your normal eating habits or follow instructions given by your doctor. SHARP EDGES: If you feel something hard or sharp edges in the surgical areas, it is likely you are feeling the bony walls which once supported the extracted teeth. Occasionally small silvers of bone may work themselves out during the following week or so. If they cause concern or discomfort, please call the office. MOUTH RINSES: Keeping your mouth clean after surgery is essential. Use 1/4 teaspoon of salt dissolved in an 8 ounce glass of warm water and gently rinse with portions of the solution, taking five minutes to use entire glassful. Repeat as often as you like, but at least two or three times daily. HOT APPLICATIONS: You may apply warm compresses to the skin on the areas of swelling (hot water bottle, hot moist towels, or a heating pad) for 20 minutes on, 20 minutes off to soothe tender areas. This will also helo decrease swelling and stiffness. HEALING: Normal healing after tooth extraction should be as follows: The first two days after surgery are generally the most uncomfortable and there is usually some swelling. On the third day you should be more comfortable and, although still swollen, can usually begin a more substantial diet. The remainder of the post-operative course should be gradual improvement. If you don't see continued improvement, please call our office. It is our desire that your recovery be as smooth as pleasant as possible. Following these instructions will assist you, but if you have questions about your progress, Please call the office. A 24-hour answering service is available to contact the doctor on call after hours. Calling during office hours will afford a faster response to your question or concern. **PLEASE NOTE: Telephone calls for narcotic (pain killer) prescription renewals are ONLY accepted during normal office hours. ** Our office phone number is (704) 470-4366.